Are you anywhere near Greenwich, CT? 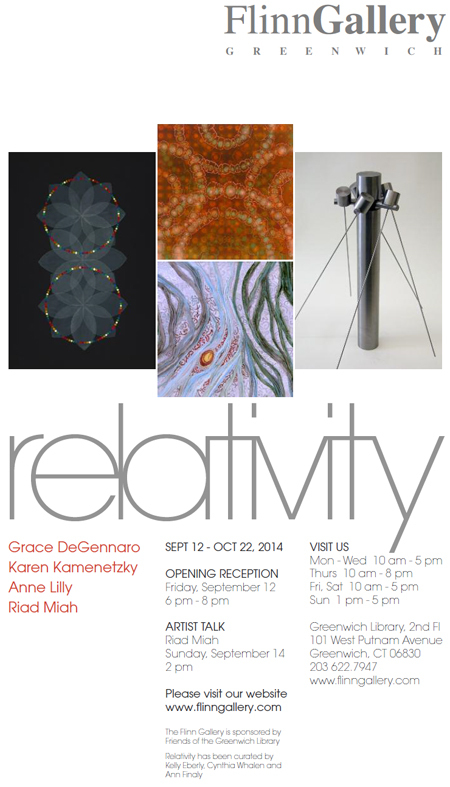 The four person show, Relativity, featuring 11 of my newest pieces will be opening on September 12th! I’m honored to be a part of this exhibit and will definitely be at the opening! This entry was posted on September 3, 2014 at 6:10 am and is filed under Exhibits. You can follow any responses to this entry through the RSS 2.0 feed. You can leave a response, or trackback from your own site.